Obituary for Dorothy Louise (Swang) Mc Coy | J. H. Lynner Co.
Dorothy Mc Coy, of Clarkfield, passed away Tuesday, February 12, 2019, at the Clarkfield Care Center at the age of 83. Memorial services will be held Saturday, March 2, 2019 at 11:00 AM at Bergen Lutheran Church in rural Granite Falls. Rev.Steven Quist will officiate, and burial will be at a later date in the church cemetery. In lieu of flowers, the family asks that you contribute to your favorite charity, the Bergen Church Cemetery Perpetual Fund or towards cancer research. Dorothy Louise (Swang) Mc Coy was born on April 19, 1935 in Montevideo, MN to Oscar & Amanda (Westberg) Swang. She was baptized and confirmed in the Bergen Lutheran Church in rural Granite Falls. Dorothy attended schools in Clarkfield and graduated from Granite Falls in 1953. After graduation she attended Teacher Training School in Madison, MN and taught at rural schools in Chippewa and Yellow Medicine Counties for five years. On June 9th, 1957 Dorothy was united in marriage to Duane Mc Coy of Clarkfield. She always remarked “Whomever marries Duane Mc Coy will be one lucky girl!” never realizing that he would choose Dorothy! In 1964 Dorothy completed her studies, all while teaching at Clarkfield and being a mom, by graduating from Mankato State University with a BS in Elementary Education. She continued to teach in different grades and capacities for the Clarkfield school district until her retirement in 1999. 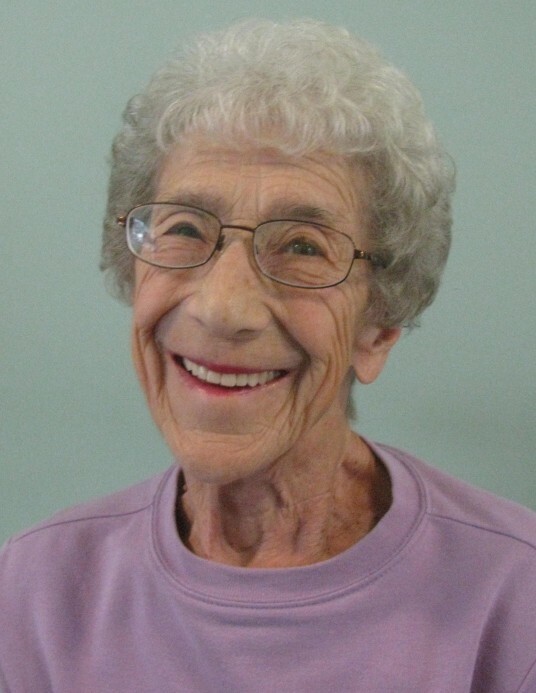 Dorothy was a life-long member of Bergan Lutheran and music was an important part of her life. She organized and directed choir and music activities at Bergen for many years, serving as choir director, pianist, organist, and soloist for weddings and funerals. In addition to her church and school, she was active in the community, serving with the American Legion Auxiliary and as a 4-H leader. She was a big part of the Clarkfield community, freely volunteering her time with residents of the Valhalla Apartments, story time for children, activities at the Care Center and with many other groups and organizations. She was active with several area AA groups and was an inspiration to countless people as she embraced her sobriety later in life. She was preceded in death by her parents, infant brother Donald, brother Odell, sister Geraldine Velde, husband Duane, and daughter Kimberly Jo (Mc Coy) Mead. She is survived by her sister Delores Luschen of Garrison, MN her son Kris Mc Coy (Ayla Rosa de Almeida) of San Diego,CA and Clarkfield, son-in-law Ronald Mead of Apple Valley, CA and honorary daughter Kelly (Jorgenson) Mandour, as well as numerous step-grandchildren, nieces and nephews.